Wim Wenders (b.1945 Düsseldorf, Germany) is one of the most important figures to emerge from the New German Cinema period of the 1970s. Alongside directing atmospheric auteur films the artist works with the medium of photography, and his poignant images of desolate landscapes engage themes including memory, time, loss, nostalgia and movement. Wim Wenders' Time Capsules. By The Side Of The Road. Wim Wenders' Recent Photographs. 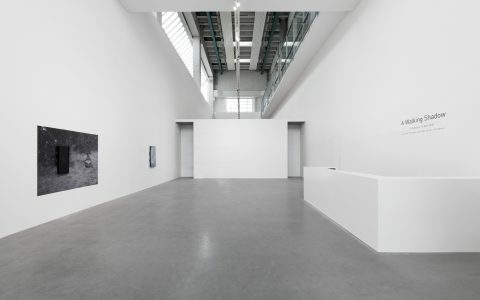 Wenders’ long-running artistic project, Pictures from the Surface of the Earth, began in the early 1980s and was subsequently pursued by the artist for the next twenty years. 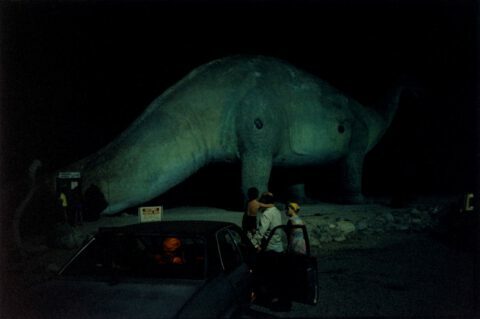 The initial photographic series in this body of work was titled Written in the West which Wenders produced when criss-crossing through the American West in preparation for his film Paris, Texas (1984). This became the starting point for the artist’s nomadic journey across the globe, travelling through countries including Germany, Australia, Cuba, Israel and Japan to take photographs which capture the essence of a moment, place or space. There is an honesty to the artist’s image making whereby each photographic frame has been precisely selected and defined so as to minimise any need for manipulation to the film negative. Wenders has described his dislike of the notion of the tourist, vacantly and haphazardly snapping away at the landscape; he articulates how the equilibrium of a photograph must be in balance at the time the shot is taken so that colour, composition and subject are in perfect harmony. Accordingly, the artist’s choice of camera and film has always been of the utmost importance to him, and whilst he began using 35mm Polaroid cameras, he has since worked with medium-sized formats using the Plaubel Makina 6 x 7 and a Fuji 6 x 17 panoramic. 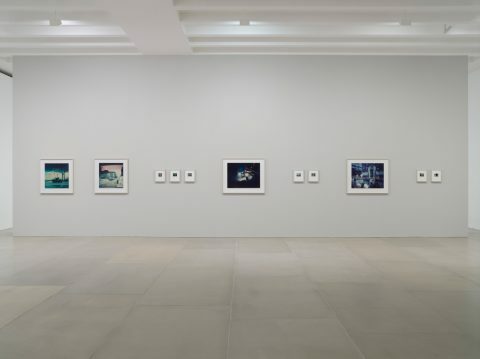 These cameras allow for Wenders to produce large-format prints which envelope the viewer, engulfing their field of vision and presenting an intimate encounter with the space that each image captures. Paradoxically, what often holds powerful presence within each photograph is the notion of disappearance or desertion, and resultantly, it is often inanimate objects which suggest a latent narrative. An empty, yellowing hotel lobby contains a semi-circle of brightly coloured armchairs which radiate against a grey pebble-dashed wall; a deserted tarmac road accentuates the fire-engine red of a SAFEWAY sign, its solid dark shadow forming a distorted double of this brand’s typography; a barren and dry desert landscape sings against a the clear purity of an azure-blue sky. 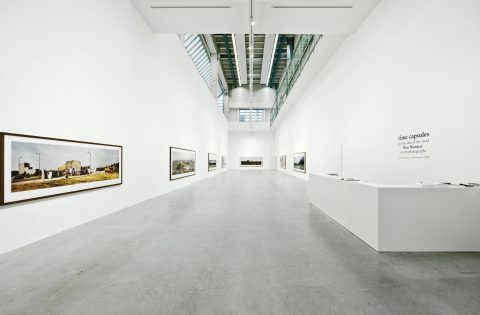 Wenders once said that photography is akin to ‘watching death at work,' as the unique moments that a negative captures will then change—the architecture or people in the images will disappear with time. Wenders studied medicine and philosophy before settling in Paris as a painter and engraver at Johnny Friedländer’s studio in 1966. His career as a filmmaker began in 1967, when he enrolled at the newly founded Academy of Film and Television, Munich. By the late 1960s he had made several short films, some of which were influenced by American artists including Andy Warhol—these were characterised by their long and uneventful scenes. Along with fifteen other directors and writers, in 1971 he founded the company Film Verlag der Autoren, then directing his Road Movie Trilogy Alice in the Cities (1973), The Wrong Move (1974) and Kings of the Road (1975), where his characters confront their lack of roots in post-war Germany. He won the Golden Palm at Cannes Film Festival in 1984 along with the Best Director award at the BAFTAs for his film Paris, Texas. His film The State of Things (1982) was awarded the Golden Lion in Venice. The artist’s critically acclaimed film Wings of Desire was made in 1987, winning him the Best Director award at Cannes. With a strong love of music, Wenders’ best-known observational piece is the documentary Buena Vista Social Club (1999), this film subsequently received an Oscar nomination. His films Pina (2011) and The Salt of the Earth (2014) have also been nominated for an Oscar. At the Berlin International Film Festival he won the Silver Bear for The Million Dollar Hotel (2000). During the 65. Berlin International Film Festivals, Wenders was presented with the Honorary Golden Bear for his lifetime achievement. 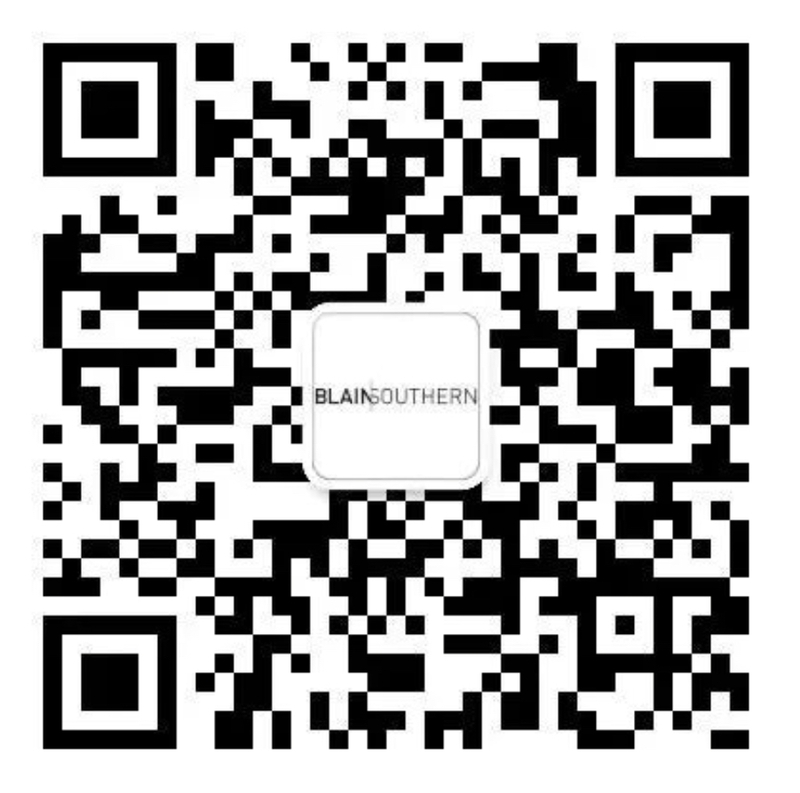 Every Thing will be fine was part of the official program. His feature film Les Beaux Jours d’Aranjuez, with a script based on the play from the Austrian writer Peter Handke, was shot in 3D in 2015 and premiered at the 73rd Venice International Film Festival 2016. His latest film Submergence based on Jonathan M. Ledgard’s starring Academy Award winner Alicia Vikander and James McAvoy will have its World premier at the Toronto International Film Festival this year and on the occasion of the German Premiere at Filmfest Hamburg, Wim will be presented the Douglas Sirk Award for his outstanding achievements within the film industry and film culture. 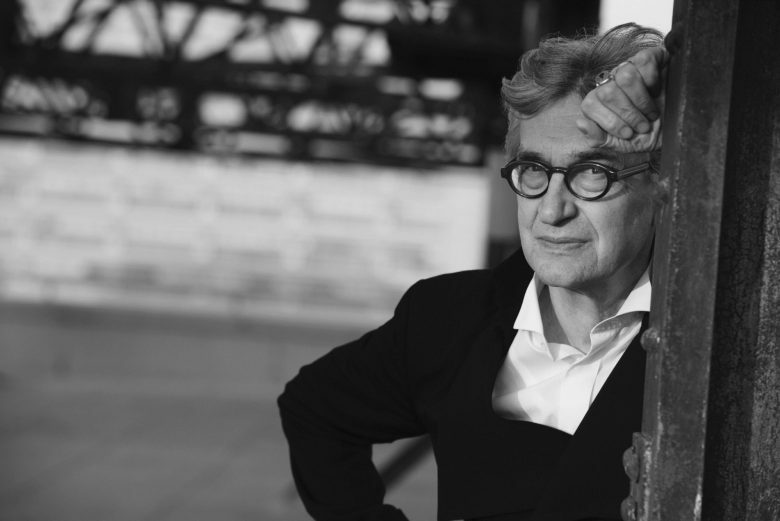 Wenders became a member of the Academy of Arts Berlin in 1984. He was awarded honorary doctorates at the Sorbonne University in Paris (1989), the Theological Faculty of University of Fribourg (1995), the University of Louvain (2005) and the Architectural Faculty of the University of Catania (2010). He is presently the European Film Academy president and is a member of the order Pour le Mérite. He was teaching film as a professor at the Academy of Fine Arts in Hamburg for twenty years until 2017. 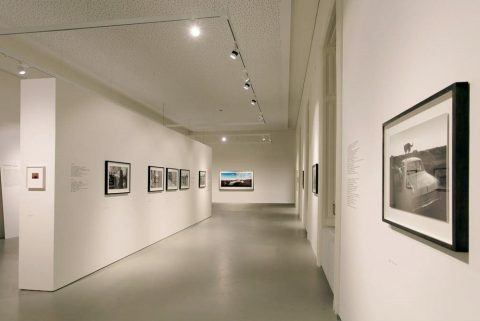 Since 1986, Wenders' photographs have been exhibited internationally at museums and galleries including the Centre Pompidou, Paris, FR (1986), Hamburger Bahnhof, Berlin, DE (2001), the Guggenheim Bilbao, ES (2002), the Museum of Contemporary Art, Sydney, AU (2003), the Shanghai Museum of Art, CN (2004), the Scuderie del Quirinale in Rome, IT (2006), the Museu de Arte de São Paulo, BR (2010), the Deichtorhallen, Hamburg, DE and Multimedia Art Museum, Moscow, RU (2012), the Fundació Sorigué, Lleida, ES (2013), the Villa Pignatelli, Naples, IT and GL Strand, Copenhagen, DK (2014), Stiftung Museum Kunstpalast, Düsseldorf, DE (2015), The Photographers' Gallery, London, UK (2017), the C/O, Berlin, DE (2018) and the METRO Kinokulturhaus, Vienna, AT (2019).